Part 1 of a New England tour for elopements, recommitments and small weddings starts with Massachusetts inns. April, May and June are months when love springs eternal. Elopements and recommitment ceremonies are meant to be small gatherings of those you love most, and spring is a perfect time to celebrate in New England. A small and intimate gathering of friends or family come together to bear witness to your lifelong commitment. Where better than at one of the Distinctive Inns of New England (DINE). These gorgeous New England inns offer up the perfect intimate setting for beachside, lakeside, harborside and mountainside small New England weddings. All of the DINE inns offer ideal packages for New England elopements and small weddings plus wonderful romantic getaways to celebrate the anniversary year after year. . Picture intimate settings just the way you love them. And best of all, you’ll find affordable packages for your elopements, recommitment ceremonies and small weddings at DINE inns. 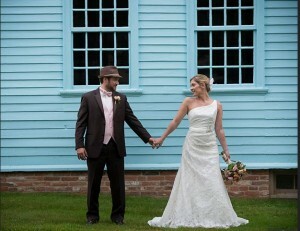 Why not enjoy the ideal New England elopement and honeymoon all wrapped into one location. And then, come back year after year for that ideal anniversary celebration at an intimate New England Inn. Any of the DINE inns also offer perfect destinations for romantic honeymoons too! We’ll start in Massachusetts, on Cape Cod, where the Captain’s House Inn offers not only a beautiful garden setting but also an in-house justice of the peace, experienced in delivering personalized vows. Their elopement and vow renewal package comes complete with a cake, champagne, photography, flowers and the wedding efficient, not to mention a gift certificate for a romantic dinner the next night, and of course accommodations. Two night packages start at $1275 per couple. In Lenox, MA, the Gateways Inn offers everything from an Elopement Package for two to a Destination Wedding package for up to 75 people. These packages come complete with a rehearsal dinner for larger groups or an intimate dinner for two for elopements, plus the wedding cake, celebration toast, receptions, and even a farewell brunch for larger groups. Here’s one Berkshires Mountains inn that can deliver everything from elopements to destination weddings all in one beautiful inn. (Photo by Lynne Graves). Also in Massachusetts, the Harbor Light Inn, located in Marblehead, just north of Boston, has both a romance package and deluxe romance package, ideal for the honeymoon after the elopement. From the bottle of bubbly to chocolates, flowers and cheese platters, just-married couples can celebrate in intimate style at this welcoming Marblehead inn. Looking for a location for a small Massachusetts wedding of historic proportions? Consider the Deerfield Inn, surrounded by Historic Deerfield, a living museum. 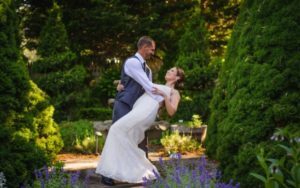 With plenty of room for a small New England destination wedding, and ideal locations for elopements and recommitment ceremonies, there are a number of lovely wedding and elopement packages offered here. Starting small, the elopement package comes with everything including the boutonniere and corsage for the bride and groom, a lovely dinner at the inn, and two robes to take home after the wedding night (also included). 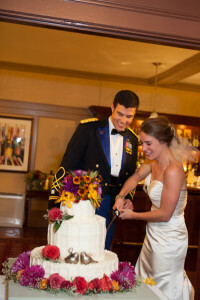 Larger wedding ceremonies can be easily accommodated in private dining rooms or outside patios. 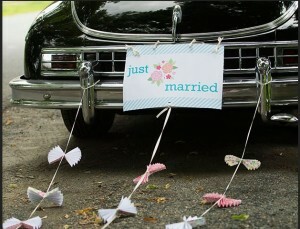 Check out their wedding photo gallery to get a sense of the beautiful ceremonies in store at the Deerfield Inn. Next week, we’ll move on to Connecticut, Maine, Vermont and New Hampshire elopement and recommitment packages from Distinctive Inns of New England. In the meantime, book your romantic getaway direct with any of the fabulous inns and B&B members of the Distinctive Inns of New England. This entry was posted in advice, Captain's House Inn, Deerfield Inn, Distinctive Inns of New England, Fairy Tale Wedding, Gateway's Inn, Harbor Light Inn, honeymoons, Massachusetts Bed and Breakfast, Romance, Romantic Getaway, Wedding and tagged elopements at Massachusetts inns, honemoons at New England inns, honeymoons in New England, Massachusetts elopments, New England destination weddings, New England elopements, New England re-commitment ceremonies, New England small weddings, New England weddings, recommitment ceremonies at New England Inns, romantic getaways at Massachusetts inns, romantic getaways at New England inns, small destination weddings at Massachusetts inns, small destination weddings at New England Inns by DINE Blogger. Bookmark the permalink.